Definition at line 36 of file File.h. Definition at line 34 of file File.h. Definition at line 33 of file File.h. Definition at line 31 of file File.h. Definition at line 35 of file File.h. Definition at line 32 of file File.h. Definition at line 90 of file File.cc. References DBG_IMPORTANT, debugs, Logfile::f_close, Logfile::f_flush, and Logfile::path. Referenced by accessLogClose(), icapLogClose(), netdbSaveState(), and storeLogClose(). Definition at line 147 of file File.cc. Referenced by logfile_mod_daemon_close(), logfile_mod_stdio_rotate(), and logfile_mod_stdio_writeline(). Definition at line 140 of file File.cc. Referenced by accessLogLogTo(), and storeLog(). Definition at line 134 of file File.cc. References Logfile::f_linestart, Log::Format::HttpdCombined(), Log::Format::HttpdCommon(), logfile_mod_daemon_open(), Log::Format::SquidCustom(), Log::Format::SquidIcap(), Log::Format::SquidNative(), Log::Format::SquidReferer(), Log::Format::SquidUserAgent(), STUB, and STUB_RETVAL(). Definition at line 38 of file File.cc. References assert, Logfile::data, DBG_IMPORTANT, debugs, Logfile::f_close, Logfile::fatal, fatalf(), Logfile::flags, Logfile::Logfile(), logfile_mod_daemon_open(), logfile_mod_stdio_open(), logfile_mod_syslog_open(), logfile_mod_udp_open(), MAXPATHLEN, NULL, Log::TcpLogger::Open(), Logfile::path, and Logfile::sequence_number. Referenced by accessLogInit(), icapLogOpen(), netdbSaveState(), and storeLogOpen(). Definition at line 112 of file File.cc. Referenced by Log::Format::HttpdCombined(), Log::Format::HttpdCommon(), netdbSaveState(), Log::Format::SquidCustom(), Log::Format::SquidIcap(), Log::Format::SquidNative(), Log::Format::SquidReferer(), Log::Format::SquidUserAgent(), and storeLog(). Definition at line 99 of file File.cc. 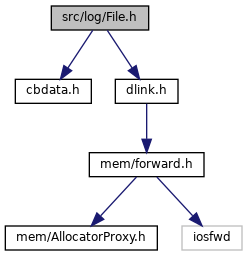 References DBG_IMPORTANT, debugs, Logfile::f_rotate, and Logfile::path. Referenced by accessLogRotate(), icapLogRotate(), and storeLogRotate(). Definition at line 106 of file File.cc. Referenced by logfilePrintf(), and mcast_encode().